COGLING Author Interview and Giveaway! Today I have the pleasure of interviewing author Jordan Elizabeth about her latest YA release COGLING (love the cover!). Jordan emailed me years ago. She enjoyed my books and she asked me for some writing advice. Over the years, she's been in touch with questions and updates about her writing. She even invited me to be a guest speaker at her writing critique group in upstate New York! Needless to say, I was thrilled when Jordan sold her stories and even more honored when she asked me to read COGLING for a cover blurb. And this is what I said, "Hooked from the very first chapter, I loved this unique tale of adventure filled with engaging characters and non-stop action!" Jordan is giving away one copy of COGLING. It's open to ALL - see below for the Rafflecopter to enter the giveaway. I've been getting reports from readers in Canada and Australia that they've found copies of NIGHT STUDY! And my local Barnes & Nobles has copies on the shelf! As it seems to go when my books come out, some stores have the book, but they remain in boxes, while others haven't gotten them yet. Check with your local bookseller before venturing out. Lots of fun things are going on to celebrate the release. See below for links and info! 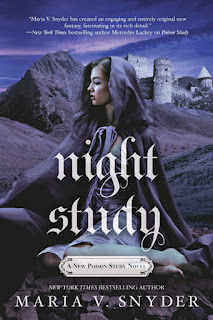 NIGHT STUDY Blog Tour + Giveaway! Also enter for a chance to WIN 1 of 10 copies of NIGHT STUDY (signed and personalized by you know who). NIGHT STUDY will be out in...17 DAYS!! If you live in the US or Canada. For those in Australia/New Zealand, the book will be released on 25 January and for those in the UK, the eBook will be out 1 February and the print will follow on 25 February (My UK publisher decided on the 3 week delay not me - just saying :). There will be a blog tour and giveaways starting on January 18th. One of my new year's resolutions is to blog more! So I'm posting a super fun interview with author Susan Dennard. 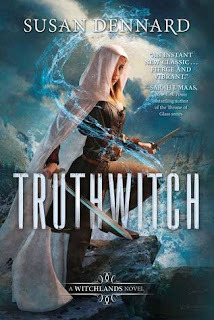 Her latest book, TRUTHWITCH is out today!! I had the pleasure of reading this book a few months ago and loved it. Susan has also graciously offered to give away one signed copy of her book to a winner living in the USA. I know my international readers will be disappointed, so I'm offering a copy of her book to one international reader. See the Rafflecopter below to enter! Here's the cover copy: On a continent ruled by three empires, some are born with a "witchery," a magical skill that sets them apart from others.